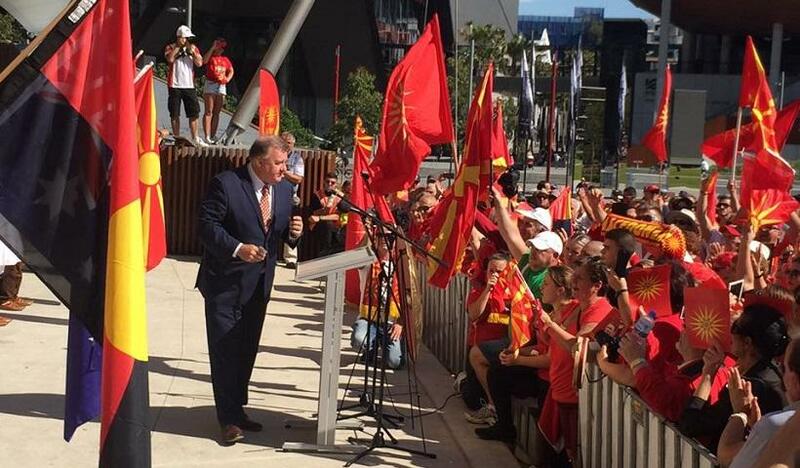 Greek Australians are angry over Liberal Party MP Craig Kelly who made a statement about the name of the Former Yugoslav Republic of Macedonia (FYROM). Specifically the Member for Hughes, New South Wales said that, “Australia has delayed for too long the recognition of the country with its constitutional name, and this has to change.” The statement was made at a gathering of the FYROM community in Australia. Minister for Finance Tom Koutsantonis, South Australian Federal MP Steve Georganas and other MPs asked Prime Minister Malcolm Turnbull and Minister for Foreign Affairs Julie Bishop if the Australian government has changed its foreign policy regarding FYROM. Also, many Greek Australians sent letters protesting Mr. Kelly’s statements. Speaking at the SBS Greek radio program, Minister for Industry, Innovation and Science Arthur Sinodinos underlined that the policy on FYROM has not changed. “The government has not changed its position on this issue. We have said from the beginning that Greece and FYROM must agree on the issues that concern them. We, Australia, recognize this country as the Former Yugoslav Republic of Macedonia,” he said.